This year’s cohort comprises 12 young adults – four from Israel, four from the US and one from Poland, one from Ukraine, one from Guatemala, and one from Germany. 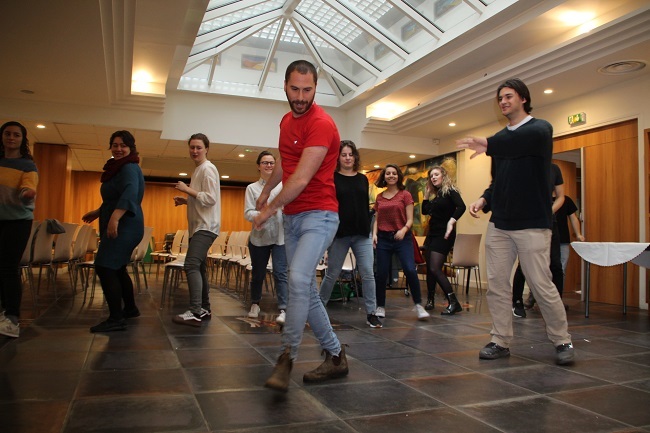 Their week of discovery, learning and networking in the French capital was designed to bring participants face to face with Progressive congregations across Europe, learn about their growth and challenges, and listen to larger issues facing our movement, and the Jewish people. With the generous cooperation of Rabbi Pauline Bebe, rabbi of Communauté Juive Libérale (CJL), a Progressive Jewish congregation in Paris, and other Progressive congregations in Paris, participants spent the week meeting with a range of rabbinic, student, religious, and local leaders. Touring La Victoire, the Grand Synagogue of Paris, built in 1874, and meeting with rabbinic leaders of the Consistoire central israélite de France (Israelite Central Consistory of France), a centuries-old umbrella organization. Visiting the sites, tastes and histories of ‘Jewish Paris’ with Rabbi Tom Cohen from Kehilat Gesher, the only bilingual congregation in Paris, embracing Progressive and Reform values and beliefs. Learning about Rabbi Bebe’s interfaith project that brings together individuals from all faiths who are training to become religious leaders, and meeting with Muslim leaders. A tour of Evening talk with Rabbi Jonas Jacquelin from the Union Libérale Israélite de France, Copernic Synagogue, about his experiences as a young rabbi in the oldest community in Paris. Dinner with Stephane Bédèr, Senior Vice Chair of the WUPJ, to discuss Progressive Judaism across Europe. 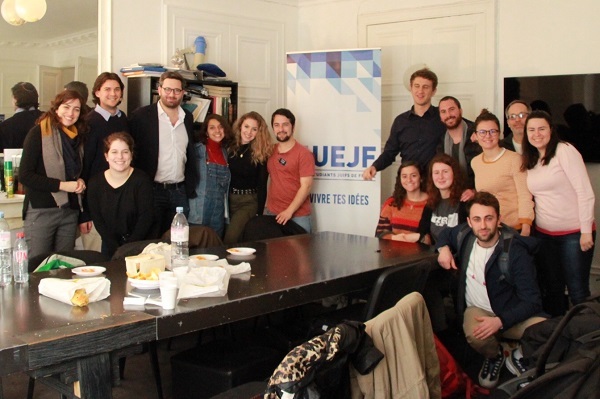 Meeting with the head of the French Jewish Student Union, Sasha Gozlan to talk about standing at the forefront of campaigns against anti Semitism, racism, homophobia, and BDS on campus. Kabbalat Shabbat and Shabbat dinner was held at CJL with Rabbi Bebe and young adults from Tamar France. 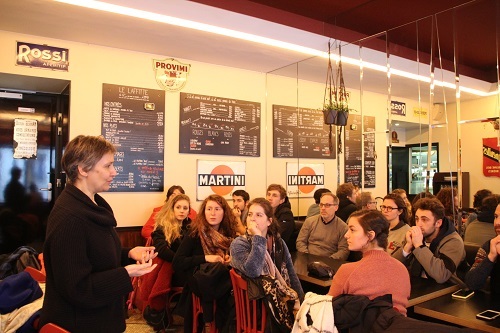 On Shabbat morning, participants met with Rabbi Delphine Horvilleur, from the Mouvement Liberal Juif de France (MJLF), and visited her congregation to talk about current issues facing Jews in Paris, including antisemitism. Rabbi Horvilleur recently completed her third book, focusing on antisemitism. In 2018 she was chosen by the international foundation Global Hope Coalition as one of five “Heroes Against Extremism and Intolerance,” granted by Ronald Lauder, President of the World Jewish Congress, in the presence of heads of state and government present in New York for the United Nations General Assembly. Rabbi Horvilleur was also the first rabbi to receive this global award. Additional workshops for participants focused on providing leadership and project management skills, including a session on ‘how to present your project’ and hone one’s vision and goals for impact, and how to make croissants. 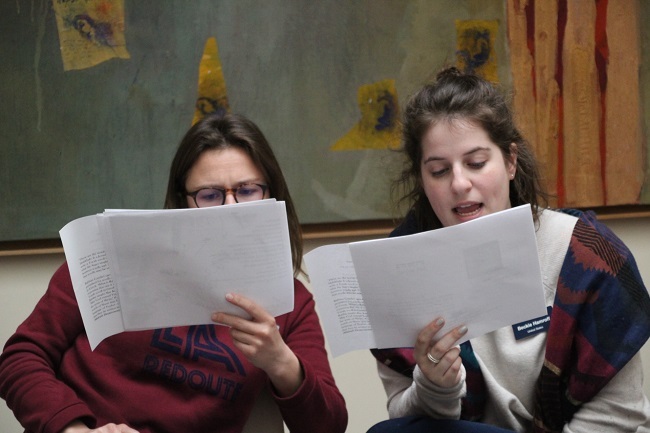 Please fill out this form to share "[FRANCE] Klal Yisrael Cohort 5 Explores Progressive Judaism in Paris" via e-mail.